Welcome to Keystone Paving. 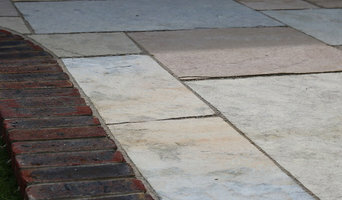 Specialists in block paving, brickwork, patios and driveways. Quality, affordable workmanship from a family business you can trust. Manufacturer, formulator and specifier of quality resin bound porous surfacing systems for driveways, paths, patios and pool surrounds. Paving Specialists of Brighton & Sussex We are a local family run business and we specialise in all areas of paving works, from driveways to patios right through to forecourts and private roads. and working closely with experts in related fields, we can give you design options and advise on any of your proposed landscaping or paving projects. We offer full construction of all paving projects from small back garden patios right through to car parks. We also take on any extensions or repairs that need attention. We work closely with known suppliers to obtain the highest grade of paving materials that plays an integral part of achieving your driveway or patio. The paving team covers all of Brighton and Sussex and parts of Surrey. Based in Haywards Heath, Hardy Paving covers West Sussex and surrounding areas in South East England. With over 20 years' of experience in the block paving and bricklaying industry we're your first choice. The entrance to your home is one of its most important details. Whether you’re landscaping your garden, refurbishing your house, or starting from scratch, it’s important that your driveway and other surfaces reflect the attention to detail you care about, installed by people you trust. 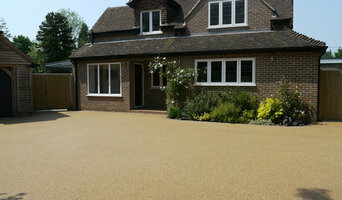 We’re specialists in resin bound paving and resin drives and our guarantee is for 10 years. 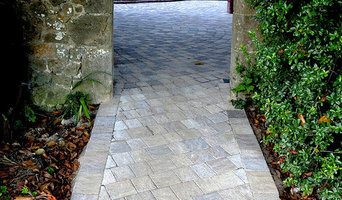 We have been specialising in all types of paths and driveways for over 30 years. We pride ourselves on our expertise and experience in the industry. From Block Paving to Pea Shingle we can cater for all types of project and consider no job to big or to small. Our comprehensive range of solutions includes driveways, pathways, car parks, road repairs and pavement lowering, so you can be certain that our committed team will be able to meet your specific requirements. Our fully qualified, highly skilled paving team work closely with local authorities and leading contractors, so you can be sure that you will receive superior results at affordable prices. From decorative driveways in East Sussex to commercial car parks and industrial flooring, our 30 years in the trade mean we genuinely are the region’s premier surfacing choice, so whatever surfacing needs you have, contact us today! Tubbys Tyres provides excellent value new and part worn tyres at our Acacia Grove shop in RH10 3PD, Copthorne. We have a state of the art laser wheel alignment ramp and can do 4 wheel laser alignment on all cars. We also carry out brake replacements and minor servicing, we give excellent value and pride ourselves on being an honest decent garage. Our tyre prices are unbeatable and supplied at prices that can't be matched online, we also source high-quality part worn tyres from the UK and Germany and have stock in for most makes and models. We specialise in all kinds of driveways in Sussex, and deliver exceptional surfacing solutions for both commercial and domestic clients. Our comprehensive range of services includes driveways, pathways, car parks, road repairs and pavement lowering, so you can be certain that our committed team are able to meet your exact requirements. Our fully qualified, highly trained paving team work closely with local authorities and major contractors, so you can be sure that you will receive superior results at affordable prices. Why should I hire Brighton, East Sussex driveway pavers? For those building a new home from scratch or completely renovating a house, sorting out the driveway and paving around the exterior of the house is usually something that comes as an afterthought, or at least left until the main living areas areas of your home are sorted. However, it’s always a good idea to talk to professional Brighton, East Sussex driveway pavers at an earlier stage because they can work in tandem with any other exterior contractors working on the job to create driveway solutions that work with the rest of your house. The driveway construction may not be able to happen until after other contractors have finished, but the space will be ready for the paving or laying of the driveway. Here are some related professionals and vendors to complement the work of driveways: Stone, Paving & Concrete, Main Contractors, Landscape Contractors, Cladding & Exterior Contractors. Find a driveway pavers on Houzz. 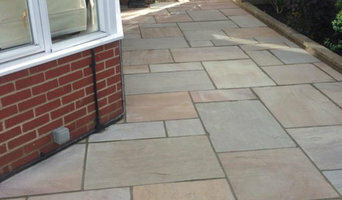 Narrow your search in the Professionals section of the website to Brighton, East Sussex driveways and paving. 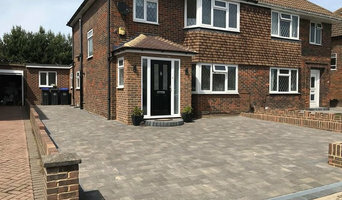 You may also look through Brighton, East Sussex photos to find examples of driveway solutions and paving that you like, then contact the driveway pavers or contractors who worked on them.